What can we be sure of in life when even someone as successful as Eugene Katchalov decides to pass up on poker’s greatest tournament series? The answer however, is a bit more complicated than the question. Katchalov, winner of a World Series of Poker bracelet back in 2011 when he won the $1,500 Seven Card Stud event, was born in the Ukraine and moved to the United States at the age of 10. In order to further promote the game of poker Katchalov will be participating in a big Ukrainian TV show. We can speculate all we want on which show the Number 1 on the Ukrainian all-time money list will be on, but Katchalov’s contract says he can’t reveal all the details. Guesses range from ‘The Bachelor’ to Survivor, but our best guess is that we’re going to have to wait and see what happens this summer on Katchalov’s Twitter page. After a disappointing 19th place finish in the SCOOP Main Event last night, Katchalov was kind enough to answer some of our questions about him missing out on this year’s World Series of Poker. While times are tough due to the ongoing conflict in Crimea, Katchalov believes it would not be right to pull out of him participating in the scheduled TV show. “I agreed upon doing a national TV show months ago, knowing it would cost me most of the summer. I think it will be fun and a unique experience and as much as I like the World Series, and as much as I hate missing it, it does take place every year. I’ll definitely be back in 2015. It’s okay to miss it one year because this could be quite a special experience,” the PokerStars sponsored player said. “I didn’t want to make a big deal out of being on this TV show, but despite the many bad things going on in the Ukraine life still has to go on. People still need some entertainment,” Katchalov said, as the NYU graduate’s very much aware of the struggles in his home country. In order to give some perspective, the drive from the Ukrainian capital of Kyiv to the border of Crimea is about nine hours, and its capital Sevastopol is about 12 hours away. This would be the equivalent of driving from New York City to Charleston or Indianapolis, or from Amsterdam to Warsaw or Marseille. Katchalov doesn’t consider himself a celebrity in the Ukraine, but his appearance on the TV show this summer could provide a significant boost for his persona and the popularity of poker. “I think that this TV show I will be on could be a breakthrough for poker in the Ukraine, or at least that’s what I hope. Poker in the Ukraine is growing a lot and I can tell people enjoy the game a lot. It certainly makes me happy that I can potentially help promote the game,” Katchalov said. “I’ve been asked not to tell which show it is, but I will be in the Ukraine taping for that show during the World Series of Poker. I will only be in Las Vegas for the first week of the WSOP and there’s a small chance I make it out for the Main Event. With the exception of the first week, chances are big I’m not going to be at the WSOP at all,” Katchalov said, as everyone can now cross him off their fantasy draft lists. 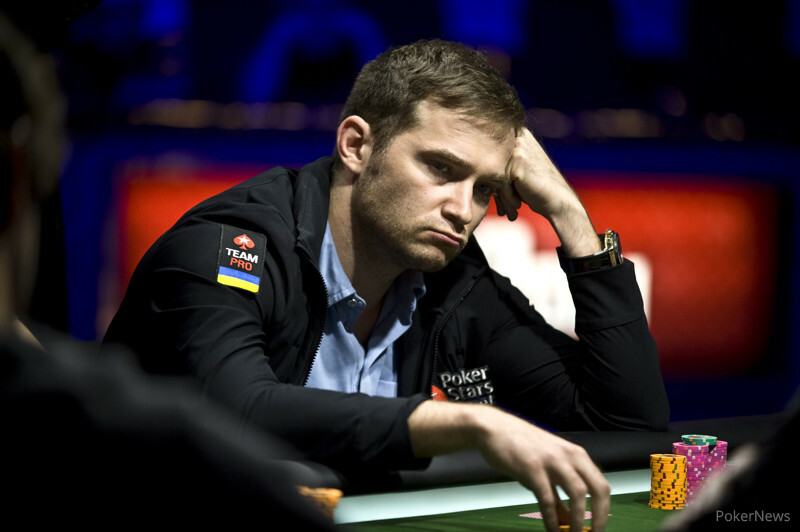 Comparing the situation in Crimea to Katchalov missing the World Series of Poker isn’t fair and uncalled for, but he’ll certainly be missed in Las Vegas. Katchalov’s experiences at the WSOP go way back, as he recalls. “The very first time I went to the World Series of Poker was in 2003, and I didn’t even go there to play. I was just walking around and watching everyone play whom I’d seen on TV, at the World Poker Tour. That was when the tournament was still at the Horseshoe. That first time visiting was so much fun. The Main Event was going on at the time, and it was a great experience for me at the time, seeing all these poker celebrities in real life,” Katchalov said, as he ultimately went on to become the winner of the biggest non-championship event in WPT history in 2007 when he took down the Doyle Brunson Classic for $2.4 million. “In 2004 I played about 10 events myself but didn’t cash in a single one,” Katchalov said, as his HendonMob shows that his second summer was more successful as he notched up two cashes at the 2005 WSOP. Despite leaving Las Vegas on June 5th Katchalov can still lock up his second gold bracelet, as he’s playing in a few big events at the start. “I’m definitely going to play the $25,000 Mixed Max, the first event, and I’ll play the Millionaire Maker and the $10,000 Omaha 8 or Better before I leave,” Katchalov said. “This summer is a free roll for me, either the TV show goes really well or I get to play the Main Event if it doesn’t work out. It’s a win-win situation." Follow Eugene Katchalov on Twitter and Instagram.